Sasheer Zamata has been added to the cast of Saturday Night Live, making her the first African-American female on the cast since Maya Rudolph left the series six years ago. It wasn’t long ago that Saturday Night Live came under fire for its lack of diversity — specifically that the sketch comedy show was lacking an African-American woman on its ensemble cast. The last woman to fill that bill was Maya Rudolph, who left the show in 2007. There is reason to celebrate with the latest addition to the cast. 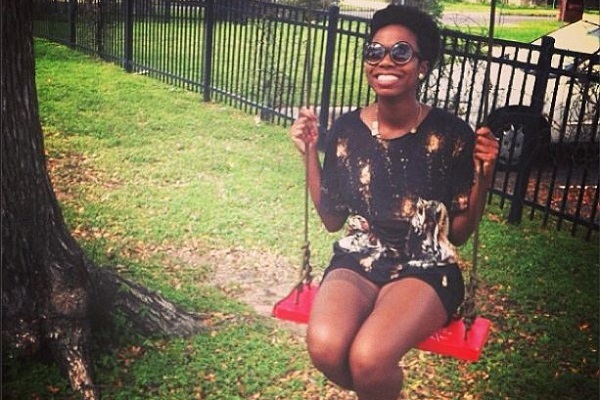 NBC announced that Sasheer Zamata will be a regular cast member and that her first air date will be Jan. 18. There wasn’t much fanfare with the announcement, but we were able to find a lot of information about Zamata without much digging. Zamata has her own website, Twitter, Facebook, Instagram and Tumblr accounts. She’s an actress, writer and comedian living in New York City, which is pretty handy considering her new gig. She graduated from the University of Virginia with a degree in drama. After moving to New York, she began working at the Upright Citizens Brigade Theatre. Her résumé includes several online videos and web series that she has written and performed in. Most notably among them is Pursuit of Sexiness, which she created with her friend Nicole Byer. She’s been in commercials for Target, Verizon Wireless and Apple. Zamata is no slouch. To land her spot on Saturday Night Live, Zamata participated in one of a series of auditions held in New York, New York, and Los Angeles, California, that specifically targeted African-American women — the first in the history of the program, according to The Hollywood Reporter, to focus on a singular group of minority women. It’s easy to see with a quick look at Zamata’s websites that she’s a fun-loving woman who enjoys life and poking fun at others and herself. It will be worth tuning in to see what she makes of the material she’s given in her first outing on SNL. In case you’re wondering, Drake will be hosting that night and pulling a twofer as the night’s musical guest as well.